Disclaimer: All figures reported in this article are approximations only, due to the fact this battle occurred during and following YPW-M4 and involved many of the same participants, with much confusion present on the field. U-QVWD system, Catch region. On the 12th of October at 20:30 EVE Standard Time, a Northern Coalition. [NC] Super Capital fleet became trapped in the system, sparking a huge sub-Capital fight as fleets across New Eden converged on it. The Northern Coalition. Super Capital fleet was making its way from Northern Coalition.’s staging system in the Aridia region to the Insmother region, where a Super Capital fight was taking place between the Drone Regions Federation (DRF) and the Red Menace Coalition (RMC). With rumors of other coalitions bringing Capital and Super Capital forces to the fight, Northern Coalition. mobilized its own Super Capital fleet in the hopes of assisting the DRF. However, as the Super Capital fleet made the long 6 regions wide trek, it was intercepted in the U-QVWD system by Stain-Wagon Coalition (SW) forces. The main force of SW was engaged at the time in the Insmother region, but a few SW pilots spotted the Northern Coalition. Super Capital fleet as it was making its way through the Catch region. Quickly, Interdictors were dispatched and the entire force found itself bubbled on the B-3QPD gate in the system. With their support fleet off fighting in Insmother, the Northern Coalition. Super Capitals had no real way to clear the bubbles or destroy the Interdictors as SW pilots just kept re-shipping and coming back. Stranded, they sat there helpless. Worse yet, one of the Super Capitals, an Aeon Supercarrier, accidentally warped to the 0SHT-A gate instead of aligned. This left it isolated from the rest of the fleet and an easy prey as was proved when a Providence Bloc fleet scouted it out. The fleet, a 70 pilot Cerberus Heavy Assault Cruiser force was moving towards the Insmother region as well in order to participate in the battle. With their scout spotting the Aeon, the Providence Bloc fleet rushed to the U-QVWD system in order to tackle it while calling for more Interdictors and Heavy Interdictors to secure a hard tackle. At the same time, contact was established with SW forces who were withdrawing at the time and coming back south in order to deal with the Northern Coalition. Super Capital force. 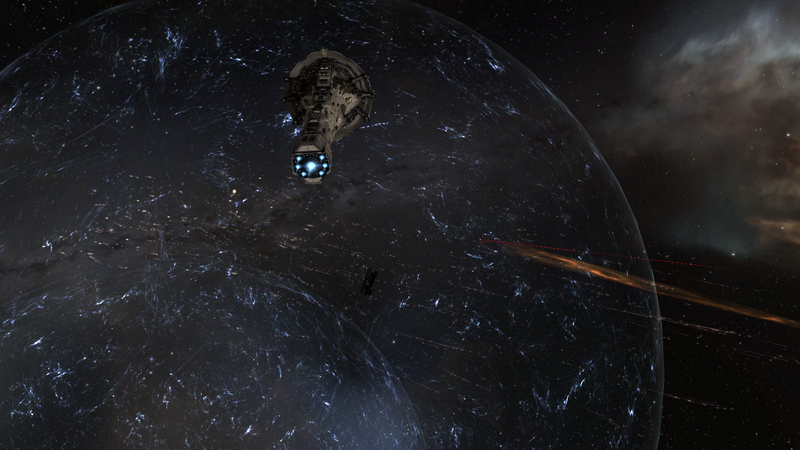 By this time the Aeon was tackled by Providence Bloc who started applying damage to it while waiting for reinforcements. Finally SW forces finished re-shipping and brought a Cerberus Heavy Assault Cruiser\Tempest Battleship fleet, nearly 200 pilots in total. With drag bubbles and sling shot bubbles around the gate making it impossible for the Northern Coalition. 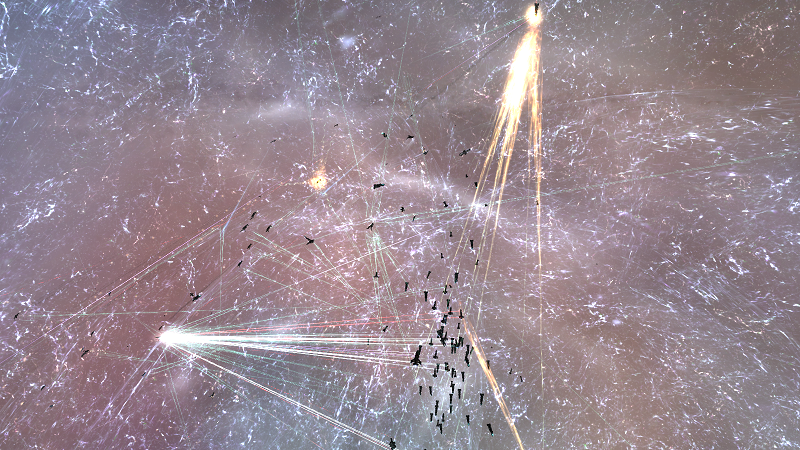 Super Capitals to warp to its rescue, the Aeon quickly succumbed to the unrelenting barrages of nearly 300 ships. However, by this time the Northern Coalition. support fleet was racing at full speed to the system, with Pandemic Legion [-10.0] forces not far behind. SW forces went to re-ship once more and came back in a full Cerberus fleet. The Northern Coalition. support fleet comprised of an 80 pilot Proteus Strategic Cruiser fleet quickly warped towards its Super Capitals and started clearing Interdictors. This allowed the SW fleet to warp at optimal range and hammer the Strategic Cruisers with its missile barrages. Managing to clear their Super Capitals from the thick cover of bubbles, Northern Coalition. quickly jumped them out as reports came in of hostile Capital and Super Capital fleets making their way towards the system. Yet to Northern Coalition.’s Fleet Commanders’ dismay, an Aeon and an Avatar Titan were left behind, having being bubbled by a cloaked Interdictor nearby just as their brethren jumped out. Now the fight revolved around extracting the two remaining Super Capitals. At this point hundreds of hostile pilots were present on the B-3QPD gate grid engaging each other in a chaotic battle. Reinforcements for Northern Coalition. in the form of a 120 Pandemic Legion Isthar Heavy Assault Cruiser fleet as well as DRF Proteus\Legion Strategic Cruiser fleet and a Machariel Battleship fleet helped even things out. Over the Titan and Supercarrier developed a fierce battle waged between at least 8 fleets as other parties came to hinder the extraction of the Super Capitals. Finally both ships were free of bubbles and managed to jump out, at which point the allied fleets disengaged, retreating to safe towers before starting the long journey home. However the sheer amount of different fleets in the system caused smaller fights to break out in neighboring systems as the fleets which were united in their goal of destroying the Northern Coalition. Super Capitals found themselves meeting each other on gates as they traveled home. In the end Northern Coalition. and its allies managed to safely extract to their staging systems, bringing an end to hostilities. Battle report for the U-QVWD system can be found here. All told the battle lasted nearly 2 hours and saw approximately 900 pilots fight near the end of the engagement with Time Dilation reaching upwards of 15%. Because of the confusing and impromptu nature of the fight as well as the fact it came on the heels of YPW-M4, it is impossible to give an accurate estimate or even divide the sides properly, not to mention that after the main fight was over, smaller fights broke out in the immediate vicinity. What is certain is that Northern Coalition. and its allies lost the battle but managed to save most of their fleet, losing only one Supercarrier before withdrawing. In total, 162 ships were destroyed during the fight in U-QVWD alone and 54 Bil ISK of damage was incurred to the various parties fighting. F*ckin¦ awesome things here. I¦m very happy to see your post. Thank you so much and i am having a look ahead to touch you. Will you kindly drop me a e-mail? Hiya, I’m really glad I’ve found this info. Nowadays bloggers publish just about gossip and internet stuff and this is actually irritating. A good website with interesting content, that’s what I need. Thank you for making this website, and I will be visiting again. Do you do newsletters by email? Hey there. I found your site by the use of Google even as looking for a comparable subject, your website came up. It seems great. I’ve bookmarked it in my google bookmarks to come back then. Magnificent site. A lot of useful information here. I?¦m sending it to a few buddies ans additionally sharing in delicious. And obviously, thank you for your sweat! Thank you for another informative website. Where else could I get that type of information written in such an ideal way? I’ve a project that I am just now working on, and I have been on the look out for such information.